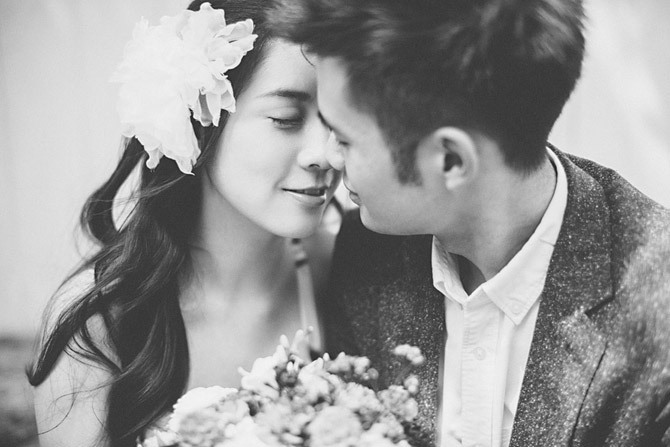 “First of all, both my fiancé and I are very serious and extremely picky when it comes to photography. Kong wai’s style of photography has long caught our attention. Over the years, he surely has established his own touch with his unique sense of beauty, along with the special ability of storytelling with his photographs and we love it. 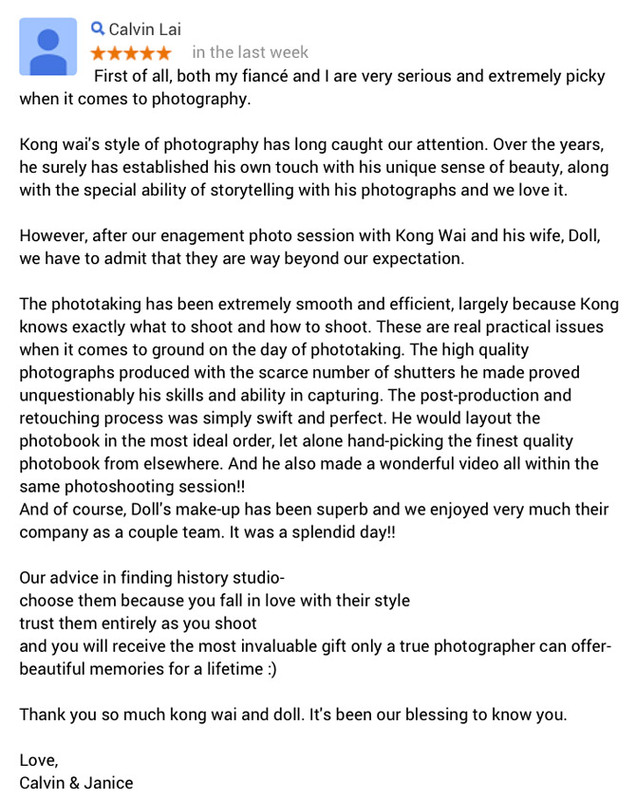 However, after our engagement photo session with Kong Wai and his wife, Doll, we have to admit that they are way beyond our expectation. The photo taking has been extremely smooth and efficient, largely because Kong knows exactly what to shoot and how to shoot. These are real practical issues when it comes to ground on the day of phototaking. The high quality photographs produced with the scarce number of shutters he made proved unquestionably his skills and ability in capturing. The post-production and retouching process was simply swift and perfect. He would layout the photobook in the most ideal order, let alone hand-picking the finest quality photobook from elsewhere. And he also made a wonderful video all within the same photoshooting session!! And of course, Doll‘s make-up has been superb and we enjoyed very much their company as a couple team. It was a splendid day! !